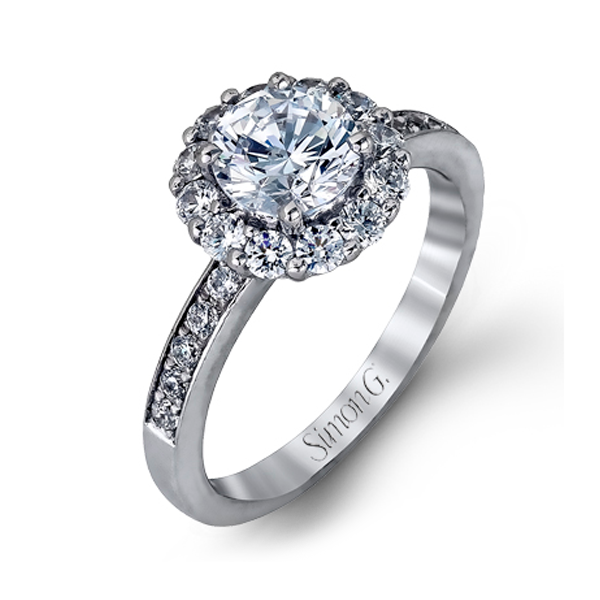 This engagement setting from the Simon G. Passion collection is like having flowers brought home every day! The 18kt white gold mounting features a floral-motif diamond halo that will surround your round brilliant center stone spectacularly. The gemstone blossom rests on a diamond-embellished band. The piece is also available in 18kt rose gold and platinum. This Simon G. engagement mounting will deliver a fashionable flourish to the third finger of her left hand!